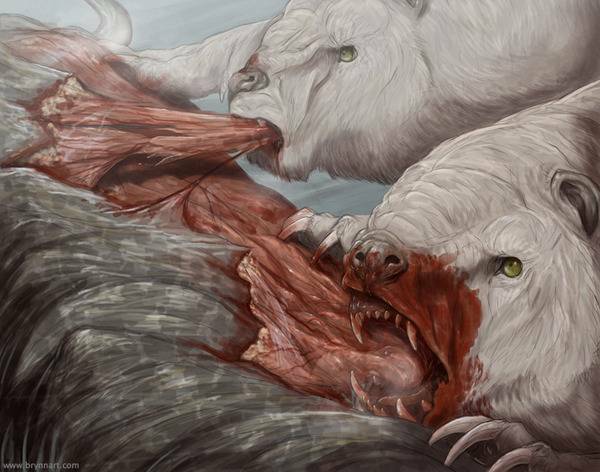 The Geno Bears are a white species of biologically enhanced bears, whose claws and teeth have been evolved. They have powerful leg muscles, filled with strengthening cells, that allow them to run quickly and bash through enemy defenses. 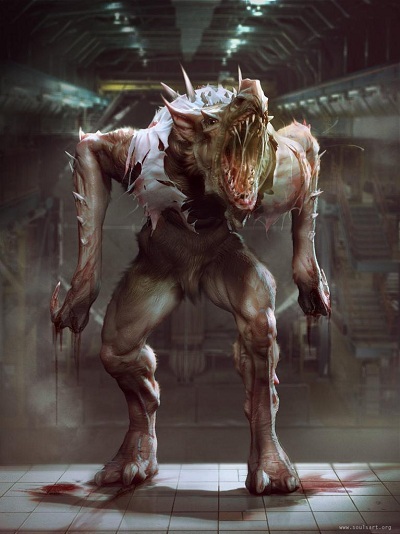 The Geno Bears are a violent race of bio weapon, attacking many things that they are trained to perceive as a threat. These bears will rip and tear at the carcasses of their enemies for a long period of time, not resting until they have been sufficiently eaten. Gaunt, skinny rat-like creatures. Has large fangs and claws, as well as long legs for traversing places quickly. Incredibly deadly. Attacks all things non-mutant within the area, animal or otherwise. Will often screech out when in trouble, signaling for assistance. Can scale walls. Has the appearance of a gene-crossed dog-like creature; mixed with an elephant, dog and horse. 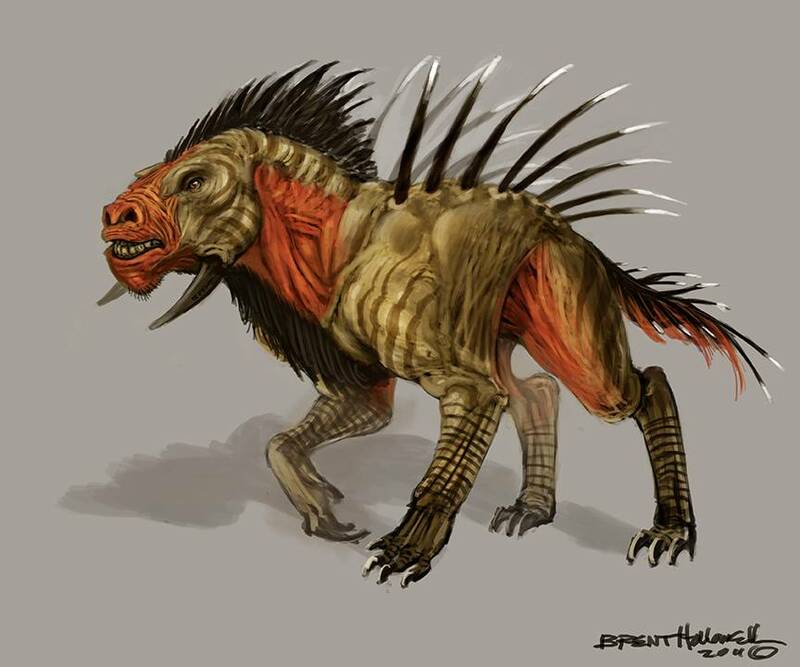 Has sharp tusks on the sides of its face, and spines on its back. Will howl when sensing danger. They are incredibly angry things, that are capable of ripping and shredding. They will gore any and all who attempt to step into their territory, and will protect their fellow mutants. Has the appearance of a bull cross-bred with a crocodile and shark. Has armor on its skin, allowing for incredibly versatile battling. Is normally found in the water, but will go onto land for indefinite amounts of time. Incredibly volatile.